A Brighton Labour councillor has stood down after taking a new job. Caroline Penn, who represents Hollingdean and Stanmer ward on Brighton and Hove City Council, had already announced that she would stand down at the local elections next May. Councillor Penn served as the Labour council’s lead member for mental health – on the Health and Wellbeing Board – and as one of the council’s representatives on East Sussex Fire Authority. She also became deputy chair of the council’s Children, Young People and Skills Committee. She said: “I’ve stood down because work commitments meant I could no longer dedicate the time needed. When she announced that she would leave the council next May, she said: “Becoming the first ever lead for mental health was a huge honour. “I hope by speaking out, challenging stigma and, more importantly challenging our health partners to do better, I have made a small difference. “I was delighted to be appointed deputy chair of the Children’s Committee. I have used the role to highlight the strengths and failures in children’s mental health services. 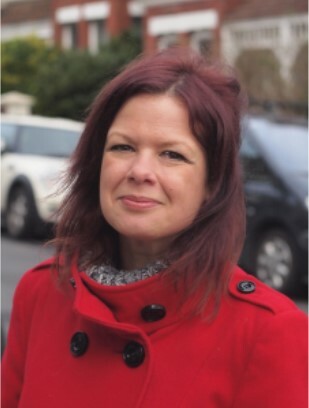 Her party colleague the Labour council leader Daniel Yates said: “Since elected in 2015 Caroline has been a committed advocate for her ward of Hollingdean and Stanmer as well as for young people and those living mental health challenges across the city. “I know that her dynamic approach and energies will be well focused in her new role outside the council and I wish her all the best in it. When Councillor Penn originally said that she would stand down at the next elections, former council leader Councillor Warren Morgan said: “I can’t say how proud I am to have worked alongside you in the team these past three years. A by-election will not be held because it is less than six months until the local elections which are due to take place on Thursday 2 May next year. I had noticed that she was not at today’s Full Council meeting. Also absent (again) was cllr Morgan and I gather that cllr Robins had gone to Paris (piquant in light of his being chosen at the meeting as the next Deputy Mayor, should he be re-elected in the febrile South Portslade). How is South Portslade “febrile” – meaning “having or showing the symptoms of a fever”? Similarly how is two councillors going to Paris “piquant” – meaning “having a pleasantly sharp taste or appetizing flavour”? And why are you going to Full Council Meetings? Haven’t you got better things to do at the library? As you did under your Gerald Wiley alias, you seem to spend all your life in laying down laws for living rather than in living. You are allowing time to slip through your fingers: it cannot be regained: the unforgiving minute. And thank you for caring about how I spend my time – I now especially enjoy my time pointing out inaccuracies and errors from the arrogant who think they are being clever with pointless, and barely humorous, posts. Your proclivity to bloviate is a sorry spectacle. So still unable to justify, or explain, your misuse of the fine English language that you profess to cherish? I thought you’d appreciate my previous pseudonym. I was looking for an alias and remembered the one Ronnie Barker’s used to pen various comedy scripts incognito. I was surprised it took you so long to identify the origin of the name and then assign it to me. Marcus. Agree. labour punish hard working people and give handouts to people in council houses who can’t be bothered to work but still seem to have so many kids. Awful party. Errr. Karen. Punish the poor and do what – return to work houses? Bring back Oliver Twist? Please Sir can I have more gruel??? Oh OK. Fine!!! WTF!! Have some humanity. Or are you a pseudonym for Jacob Rees Mogg? ?